The day after my graduation from seminary our family jumped (we actually walked) on a plane that was headed to Kauai. Looking back on my sabbatical leaving town immediately was the best decision we could have ever made! We spent the next ten days in Kauai with my family and had a GREAT time. The girls loved hanging out with their cousins, I loved seeing my sister and it was great having Oma and Opa there. Kauai was filled with adventure so I think its going to take more than one post to share but for starters I had a great time with my kids! Kauai is filled with chickens; they are every where and Sophie and I had a great time catching them. This is a pic from the first morning we caught a chicken. Sophie was so excited to hold it! Leah held one but quickly let it go to watch her sister. My sister (Beth) also has some made chicken catching skills while holding her son! 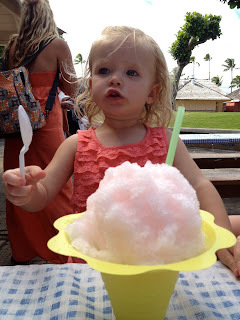 One thing I promised the girls was that we would get shave ice every day. 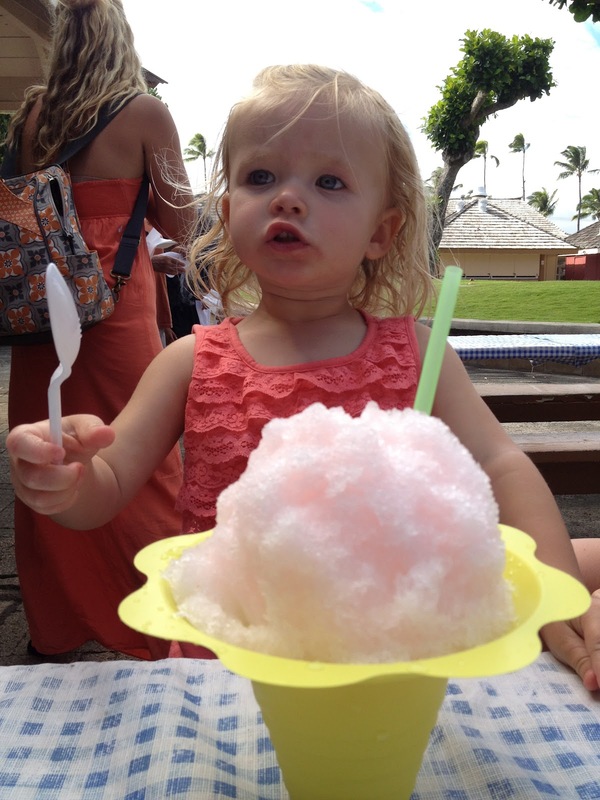 Shave ice is pretty much the best invention in the world and I enjoyed every time we ate it. Finally, for this post, I have to mention how much fun I had snorkeling with my wife and my sister. I love being out in nature, I love chasing fish around the ocean and I love being able to see more of what God has created! God knew this was how we needed to start our sabbatical!